Selected out of over 500 applications, local Canberran Burlesque Powerhouse, Jazida (winner of Miss Burlesque ACT 2016, Baby Bombshells 2016, Burlesque Idol Canberra 2015), has been accepted to perform at the Burlesque Hall of Fame “Movers, Shakers and Innovators” showcase in Las Vegas on 31 May 2018. Jazida has been enthusiastically working as an independent burlesque performer in Canberra (http://jazidaburlesque.com/), as a teacher at the Canberra Dance Theatre (http://canberradancetheatre.org/staff-and-teachers/), and as a producer for shows bringing interstate guests and facilitating workshops (https://jazidaproductions.com/). She has toured across Australia and also produced a season of shows at the Adelaide Fringe Festival. 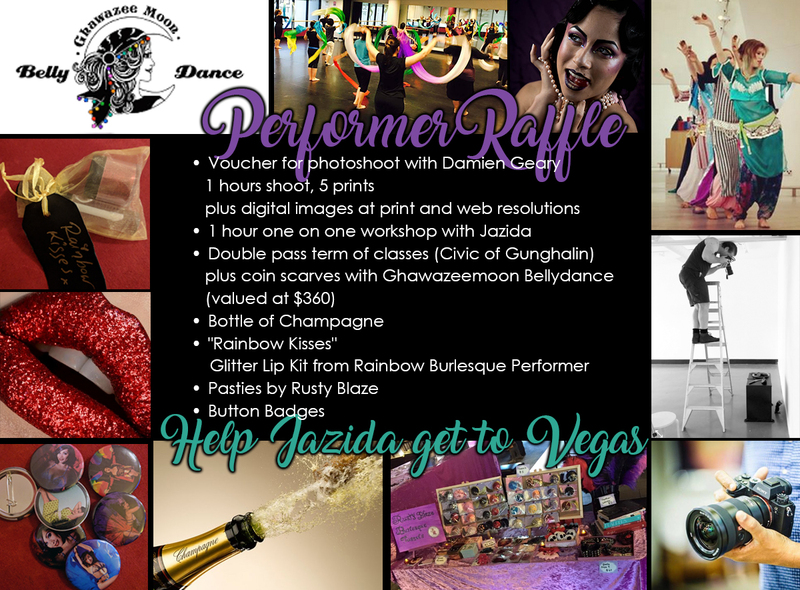 To celebrate and support Jazida’s acceptance, local artists and performers have come together to put on a show (Faraway Fever - https://www.facebook.com/events/354968288329635) and compile raffles to help raise funds. 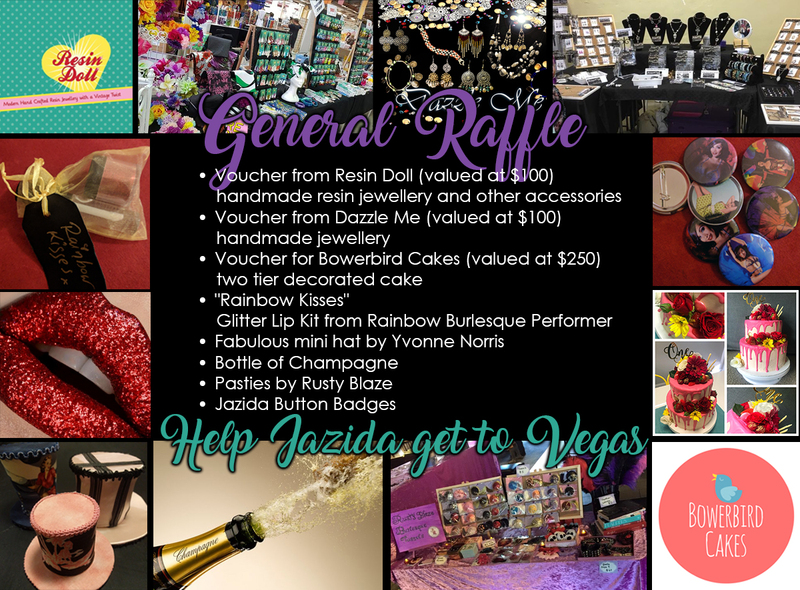 All proceeds will go towards Jazida’s costs in being part of the Burlesque Hall of Fame Weekender. Even though this is a very prestigious event, all chosen participants have to fund their own travel expenses. Therefore, your donations help to cover the costs of flights and accommodation in Las Vegas. 1 raffle ticket to go in the draw to win the General Raffle! The more tickets you buy, the more chance you have of winning! The General Raffle Prize will be drawn on 20 May 2018. 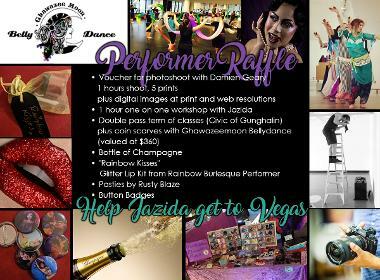 1 raffle ticket to go in the draw to win the Performer Raffle! The more tickets you buy, the more chance you have of winning! The Performer Raffle Prize will be drawn on 20 May 2018.